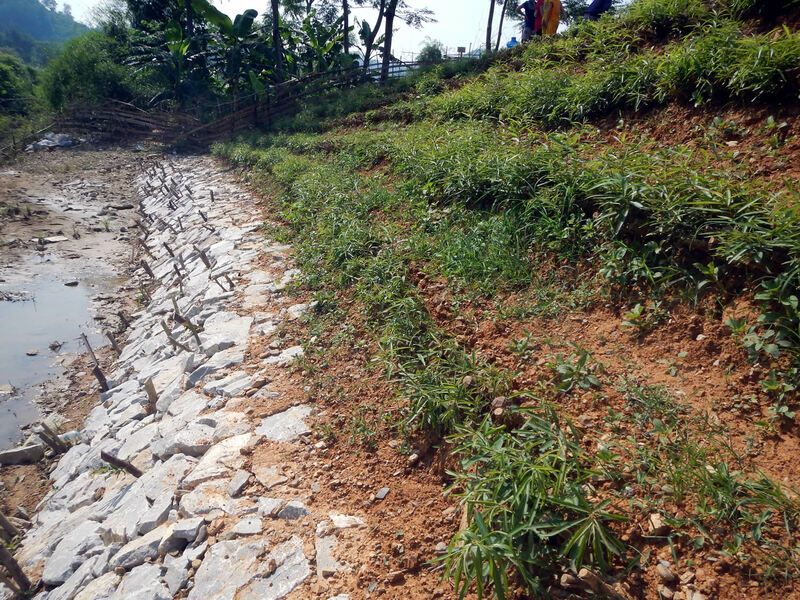 ICEM’s first bioengineered slope project in Bac Kan Province is showing early signs of success. 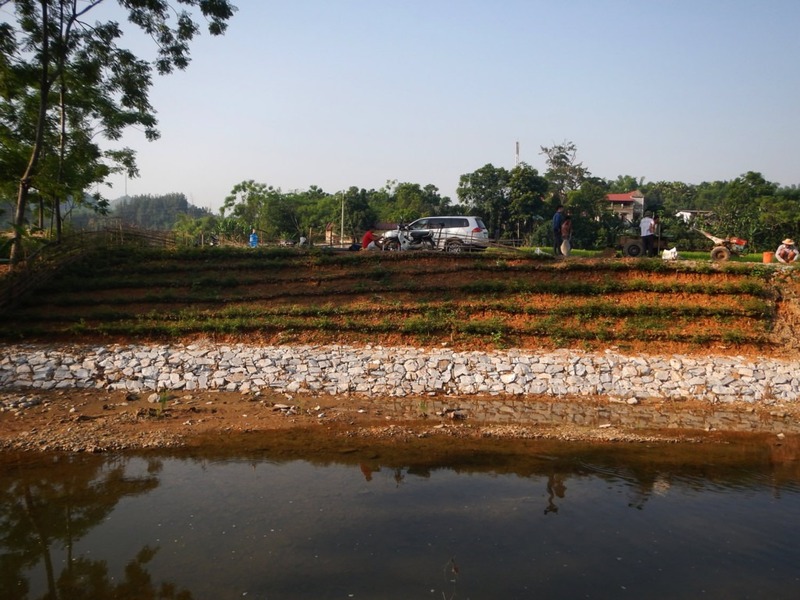 The test site is divided into four sections, with each section testing and showcasing a different green infrastructure technique. The sections showing the most growth thus far are sections 1 and 4, Brush Layering and Vetiver Grass. 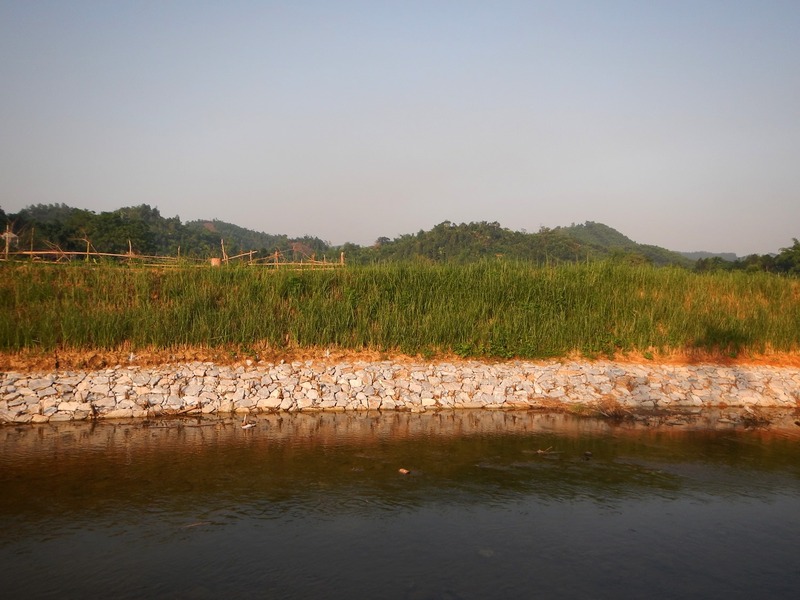 In section one, brush layering was installed using live willow-leaved water croton cuttings, or pượu in Vietnamese. These cuttings have started to take root and are showing a few weeks of growth. 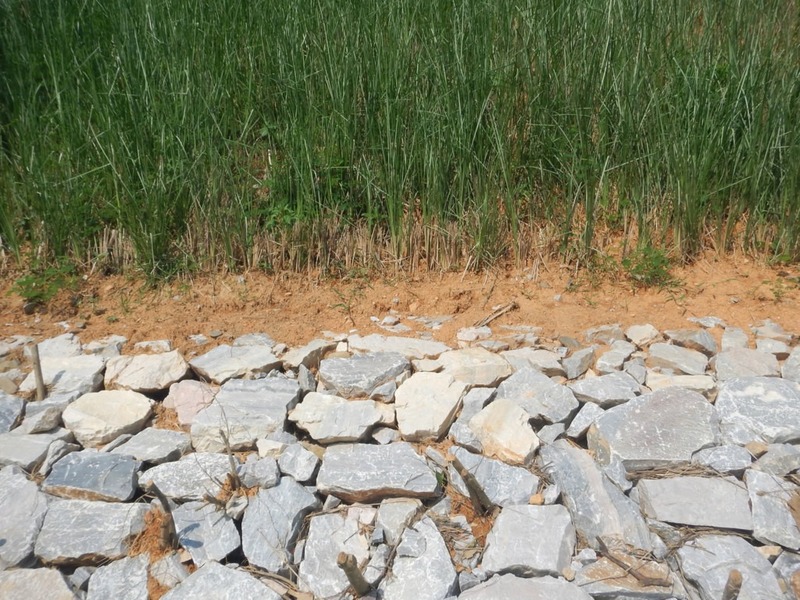 Vegetated riprap acts as a permeable but solid toe to increase stability and prevent erosion. Rocks and stones form an initial layer. 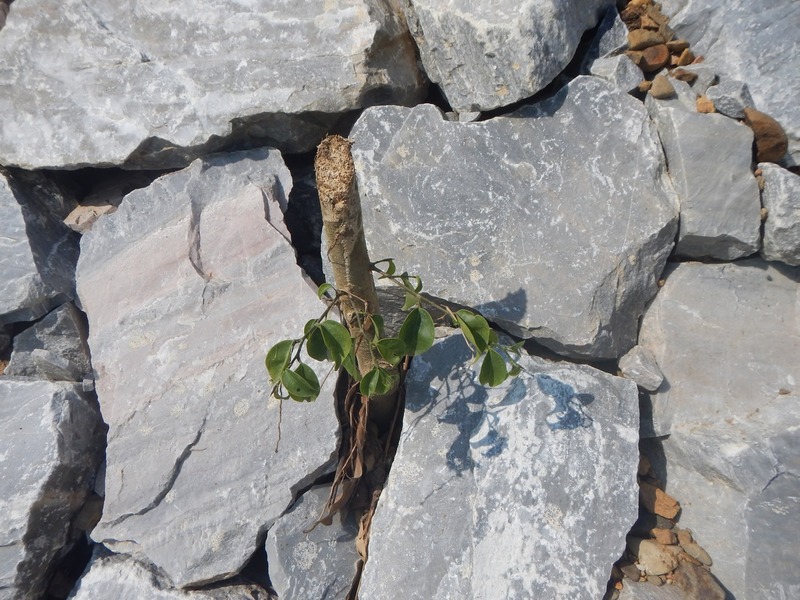 Live weeping fig stakes, or si in Vietnamese, are embedded between the rocks and will eventually take root and grow, further solidifying the rock layer and creating a natural habitat for aquatic and terrestrial wildlife. Vetiver grass is a type of fast-growing vegetation with deep roots that makes an effective hedge against erosion. The vetiver grass that was planted in section four of the test site has already started to grow well. 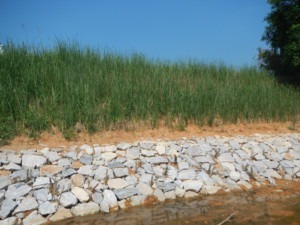 Bioengineering and green infrastructure techniques such as these are often stronger and more sustainable than traditional engineering techniques. 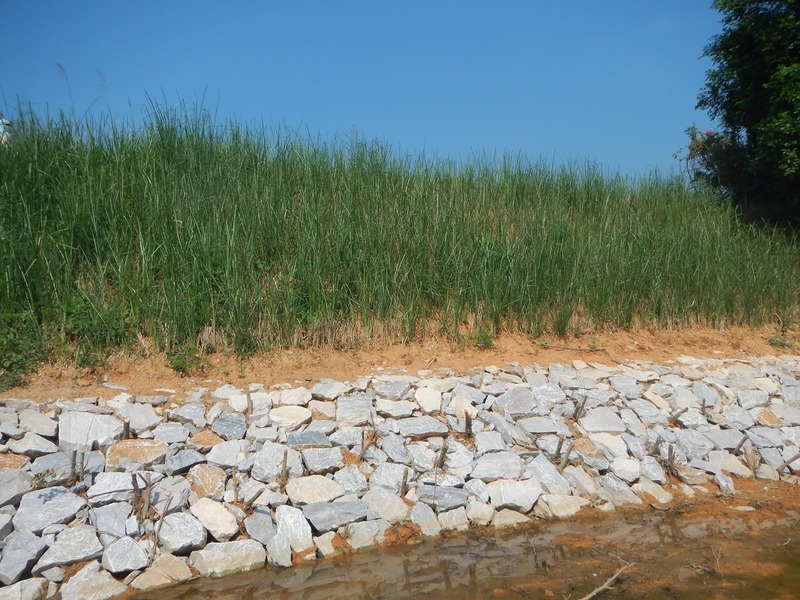 Bioengineering also provides additional benefits such as increased habitat and natural filtration processes. And, rather than weaken with time the way traditional engineering techniques often do, bioengineering will only strengthen as roots and vegetation grow. 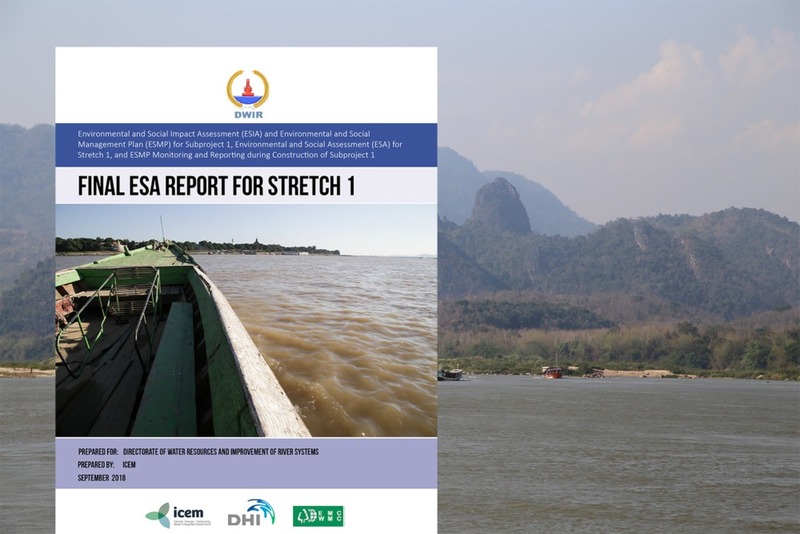 For more green infrastructure techniques and information on how to incorporate bioengineering into mainstream development practices, see ICEM’s Resource Kit for Building Resilience and Sustainability in Mekong Towns.